Presiding judge Nelly Baghdasaryan has recused herself from hearing the bail plea of Armenia’s second President Robert Kocharyan. The move comes after the state persecutors filed a self-withdrawal motion to the court on Wednesday. Kocharyan’s lawyers filed a motion to a Yerevan court of general jurisdiction to free the ex-president on bail on 26 December 2018, asking the court to determine its amount. On December 28, the court delayed the hearing of the appeal following one of the prosecutor’s argument that the working day was over, rescheduling it on January 9. Kocharyan was initially arrested in July on charges of overthrowing Armenia’s constitutional order during the March 1-2, 2008 post-election events. He was freed by the Court of Appeals on 13 August on the basis of immunity from prosecution. Both the attorney general and Kocharyan’s lawyers appealed that ruling, with the latter claiming that there were also other legal grounds for his release. 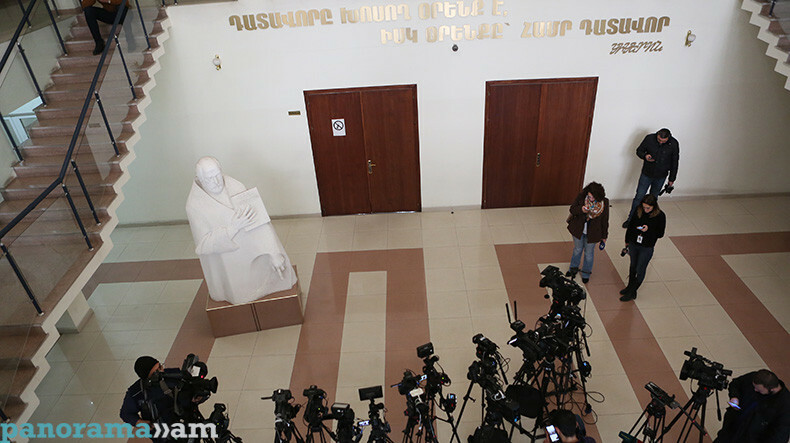 On 15 November, the Court of Cassation rejected Kocharyan’s appeal and only partly satisfied the prosecutors’ demands to send the case back to the Court of Appeals for re-examination. Later on December 7, the appellate court upheld the first instance court’s ruling to arrest the former president currently held in custody. Kocharyan and his lawyers strongly deny the charges as ‘politically motivated’ and are set to lodge an appeal with ECHR.